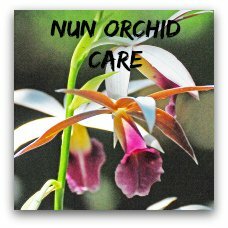 Simple Orchid Propagation tips by dividing your plants! Learn some easy methods for propagating your orchids at home. 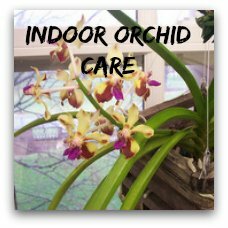 Orchids can be expensive and raising your own plants can save you quite a bit of money! Orchids can be propagated in several different ways. Of course raising orchids can be done from seed. This propagation method though has its complications for the regular gardener because orchid seeds need a fungus (mykorrhiza) to grow successfully. These symbiotic fungi produce sugar that provide the energy for the seed. 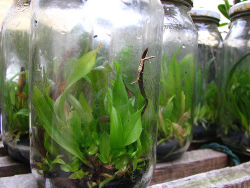 This method of propagating orchids is used commercially as well as meristem culture. Under laboratory conditions the seed is combined with the fungi and grown in sterile flasks until the orchid seedlings can be weaned and grown on in pots. Orchids can produce 1-3 million(!) seeds in a single seed pod. 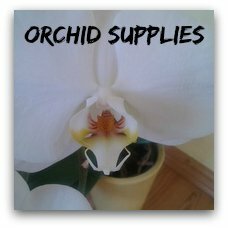 The average weight of orchid seeds is 0.005 mg per seed. 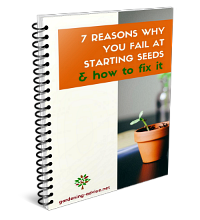 Depending on specie it can take up to 12 years from germination to maturity of the plant. This is why so many are rare and endangered! 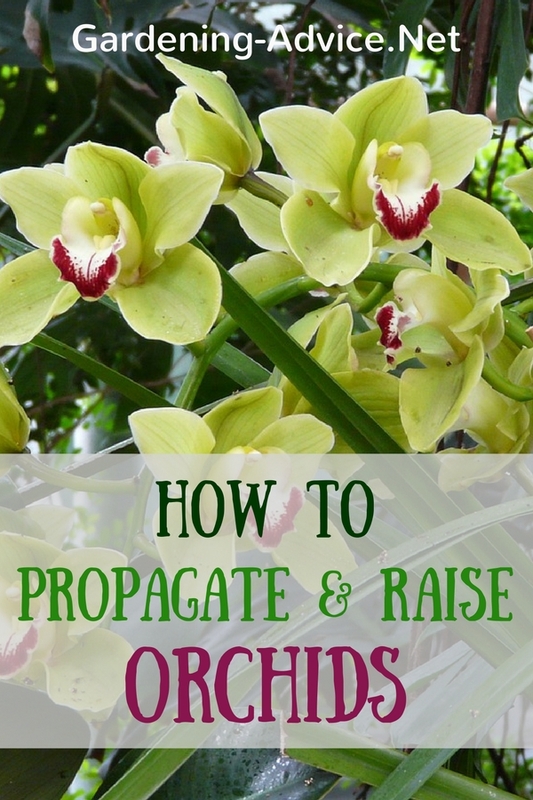 So How Do You Propagate Orchids At Home? 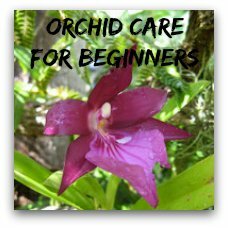 Dividing orchids is the easier method for raising orchids. You can do this while repotting your orchid. This produces an identical orchid to your stock plant. The plants are genetically the same. Sympodial orchids have multiple stems and most of them have pseudobulbs for storing water and nutrients. These pseudobulbs bear leaves and flowers. Examples for these types of orchids are Cattleya and Cymbidium orchids. A lady slipper orchid is also sympodial but does not produce pseudobulbs. 1. Your orchid should have at least 8 pseudobulbs. Take the plant carefully out of its container and shake off any loose compost material. 2. Gently push the bulbs apart in the center and cut the rhizome that holds the bulbs together with a sharp knife. Make two new sections. 3. Dormant bulbs that have no leaves are called back bulbs. You can plant up healthy back bulbs separately. Throw shriveled up ones away. 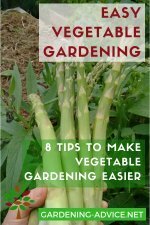 These bulbs will produce new leaves in about six weeks from the base but it will take some time before you will have a plant that is big enough to flower. 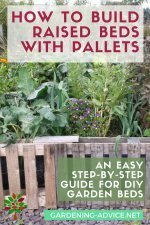 Keep the newly potted bulbs in a shaded place and keep them moist. 4. Leave at least four pseudobulbs on each division and repot those with new orchid compost mix. Trim off any dead roots with a sharp knife in the process. The base of the bulbs should be level with the top of the pot after repotting. 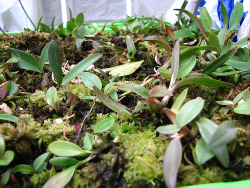 Orchids like Paphiodelium or Phragmipedium that produce no pseudobulbs are a bit more difficult to propagate. 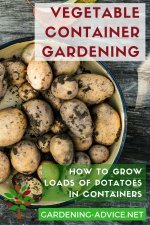 You need a healthy plant with at least four growths. The plant might take 4-5 years before it flowers again after division. The method is more or less the same as above. Sympodial orchids like Dendrobium grow cane-like pseudobulbs. These stems can be cut off from the mother plant above a leaf node. This stem is the cut in between the nodes into pieces with about 3 inches of length. Root these stem cuttings in a seed tray that is filled with moist sphagnum moss. Lay the cuttings on the moss and cover them slightly. Keep the seed tray in a warm and humid place. They should be rooted and start growing leaves within a few weeks. Pot them up into individual pots when the cuttings are large enough to handle. Monopodial orchids have a single stem and don't grow pseudobulbs. Phalaenopsis or Vanda orchids are examples for these types of orchids. Phalaenopsis can grow new plantlets from old flowered stems called Keiki. You can force this by applying keiki paste that contains growth hormones onto an eye on the stem. When the plantlet is big enough it can be removed with some stem and repotted. Mature Vanda orchids produce tall upward growing rhizome. The plant will start to grow lots of aerial roots at the bottom. You can now remove the top part of the stem together with some aerial roots. Repot this part and keep it shaded and moist. Regularly mist the plant. The bottom part should start growing new shoots after this procedure.